SIPRI is pleased to announce the launch of a report on the security implications of China’s 21st Century Maritime Silk Road (the Road). The report examines the impact of the two most strategic maritime spaces that the initiative traverses: the South China Sea and the Indian Ocean Region. It assesses the implications of the project for the European Union's foreign and security interests, but should also be relevant to all stakeholders of the Road. 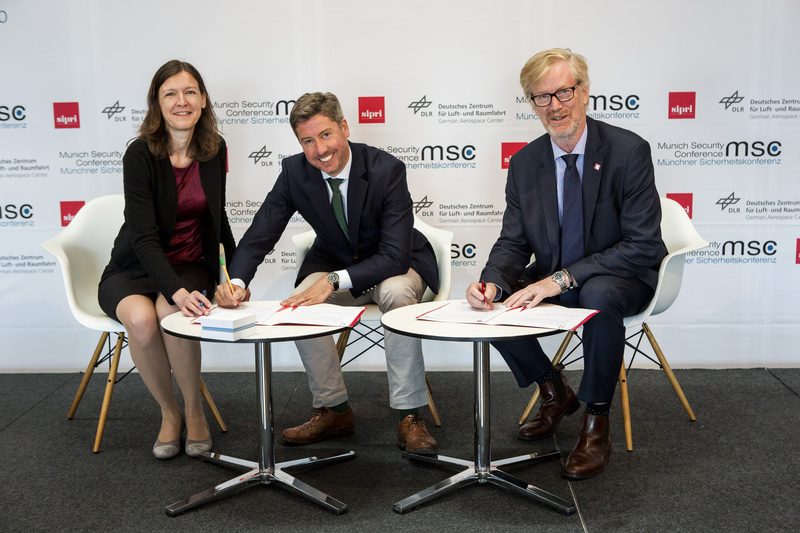 SIPRI and the Munich Security Conference signed a memorandum of understanding at the 2018 Stockholm Security Conference to promote mutual collaboration and visibility on both research and events. This year's Stockholm Security Conference focused on the theme 'Emerging technologies: Unseen connections, missing players, absent solutions'. SIPRI is part of the newly launched Stockholm Climate Security Hub, a cross-institutional knowledge platform set up with the support of the Swedish Ministry for Foreign Affairs. The Hub brings together four Stockholm-based research institutes to cooperate on research and analysis on climate security as well as to communicate the latest knowledge in the field. SIPRI is pleased to announce that The New Nuclear Forensics, by Vitaly Fedchenko, Senior Researcher at SIPRI, is now freely available to download. The 310-page publication—published by Oxford University Press in 2015—provides a detailed examination of the scientific discipline of nuclear forensic analysis, and the way it is applied to specific issues of international peace and security, from the 1940s to the present day. In its 2013 report ‘7 Myths Standing in the Way for Women’s Inclusion’ Inclusive Security captured the pervasive misconceptions that obstruct efforts to make peace mediation inclusive and gender-sensitive. Five years on, do these myths still exist or have they now been dispelled? 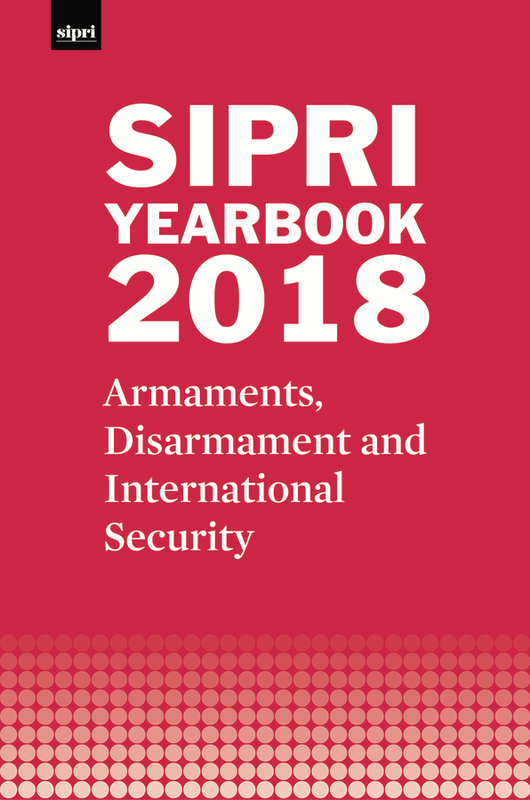 To celebrate 25 years of translation of the SIPRI Yearbook into Russian, SIPRI—together with translation partner the Primakov National Research Institute of World Economy and International Relations (IMEMO)—will host a conference to launch the latest translation of the SIPRI Yearbook and commemorate the jubilee. The conference will focus on nuclear arms control and non-proliferation. This event is by invitation only. For further information, please contact Stephanie Blenckner, SIPRI Communications Director (blenckner@sipri.org). SIPRI, in collaboration with Peace Momo, a Seoul-based peace education institute, will host a launch event in Seoul for the Korean translation of the 2018 Yearbook Summary. The event will include a presentation by the former SIPRI Deputy Director and newly appointed Ambassador of Sweden to the Republic of Korea, HE Jakob Hallgren. This event is by invitation only. For further information, please contact Stephanie Blenckner, SIPRI Communications Director (blenckner@sipri.org). SIPRI, in partnership with the China Institutes of Contemporary International Relations in Beijing (CICIR), held the second in a series of workshops on ‘Mapping the Impact of Machine Learning and Autonomy on Strategic Stability and Nuclear Risk’. The event brought together over 35 academic, diplomatic, legal, military and technical experts from China, India, Japan, Pakistan, Russia, South Korea and the United States. SIPRI, in cooperation with Friedrich-Ebert-Stiftung, presented the findings of its new report on the sea-based component of China's Belt and Road Initiative in launch events for key stakeholders in Asia and Europe. This paper discusses two opposing trends defining the current nuclear order: the renewed salience of nuclear weapons and nuclear abolitionism. Whereas nuclear weapon states and their allies have put increasing value on nuclear deterrence in recent years, several non-nuclear-armed states and civil society have highlighted the urgency of nuclear disarmament. The latter trend culminated in 2017 with the negotiation of the Treaty on the Prohibition of Nuclear Weapons, which seeks to promote disarmament by strengthening the global stigma attached to nuclear weapons. This policy report presents an analysis of the sea-based component of the Belt and Road Initiative (BRI), the Road. The report complements the February 2017 SIPRI–Friedrich-Ebert-Stiftung publication on the land-based component of the BRI, the Belt. The previous report examined security implications in two of the strategic terrestrial regions that the Belt traverses: Central Asia and South Asia. Similarly, this report examines security implications in the two strategic maritime spaces that the Road crosses: the South China Sea and the Indian Ocean Region. Special consideration is given to how the Road might affect the interests of the European Union (EU) and how the EU could consider responding. The findings are also highly relevant to the Road’s non-EU stakeholders. The issue of violent extremism has risen high on the global political agenda, and there is an increased need to understand its prevention. The long tradition of crime prevention (CP) research and policies could contribute to the understanding of prevention of violent extremism (PVE). This SIPRI Insights describes how and to what extent violent extremism and different forms of crime converge in Nordic PVE and CP strategies and action plans.